In this tutorial you are going to learn how to shuffle on an iPad which is a simple process. 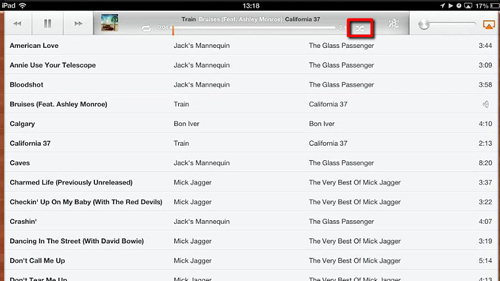 Assuming that you have already transferred some music to your iPad touch the “Music” icon. 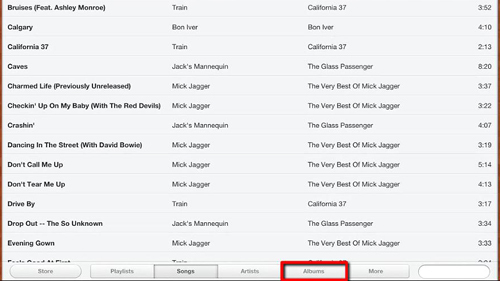 An app will open that shows the albums that you have on your iPad. First let’s look at how to shuffle all the songs. Touch “Songs” at the bottom of the screen. On the screen that loads touch any song and it will start to play, to the right of the playback progress bar there are two intertwined arrows, touch this so that it is black. Black indicates shuffle is on and you can test this by moving to the next song and it will be random. Now let’s have a look at what to do if we just want to shuffle a single album. Touch “Albums” at the bottom of the page and then touch the album you want to shuffle on the page that loads. Touch any song on this page and you will find that when you press forward it will go to a random track because shuffle is still on. If you want to turn it off simple touch the option and it will turn back to white. You can use this same process to shuffle all of the songs from an artist as well, by simply going to the “Artists” option at the bottom. That’s all there is to it, you now know how to shuffle iPad songs.